If you are looking for a full nightlife, including dining and dancing. A robust daytime, including fishing, golfing, river tours, and various boat tours that include several stops to waterfront bars, then beach weddings in Ft. Lauderdale should be your first choice for Florida destination wedding! There are many hotels, motels, condos, and timeshares to for your accommodation needs. 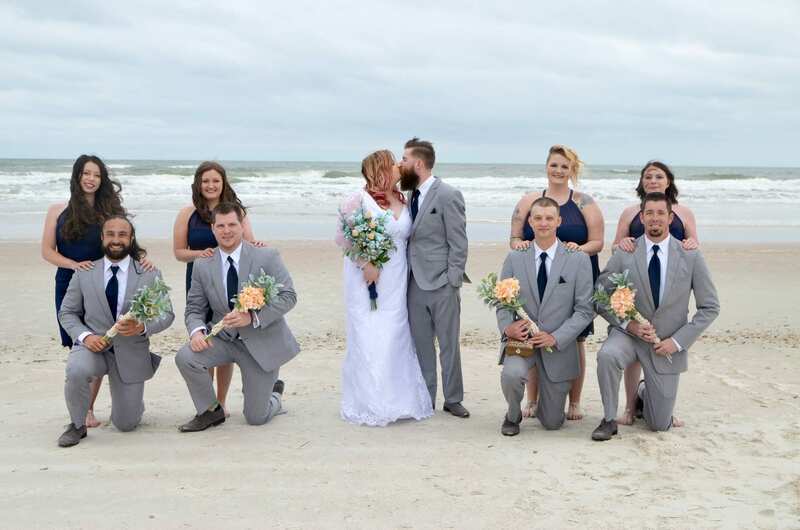 The Best Western Plus Hotel is right on the beach, and we can have your beach ceremony right on the beach next to this property (so you won’t have to pay their fees). There is also a great boutique hotel, Southern Seas in Lauderdale by the Sea. Beach weddings in Ft. Lauderdale will offer your guests so much to do – they will appreciate your Florida beach wedding location choice. There is an international airport, as well as one of the ports for cruise ships. Why not do what a lot of our clients have done? 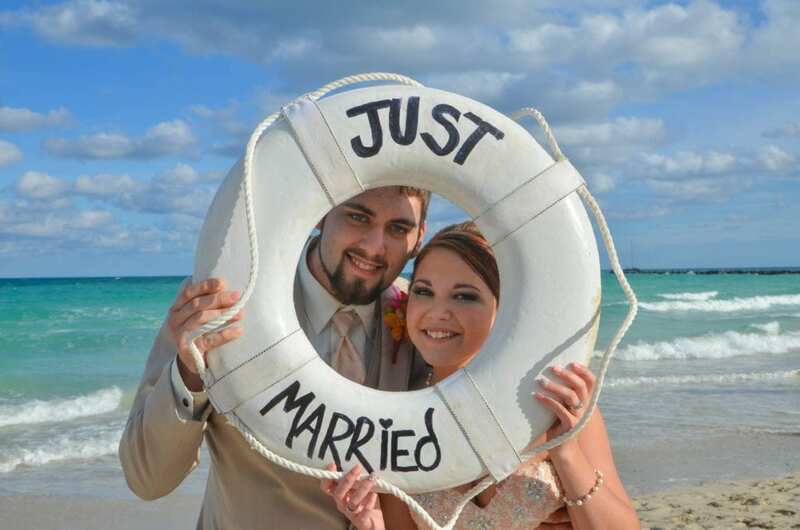 They have had their beach weddings in Ft. Lauderdale, and then hopped on a cruise ship for their honeymoon? Carnival Cruise Lines, Royal Caribbean Cruises, Princess Cruises, and Celebrity Cruises all depart from the Port of Ft. Lauderdale. Large marinas with many types of boat rentals for fishing in the rivers, to the sports fishing that the ocean has to offer. There are also dinner cruise ships. As well as sightseeing cruises. What a perfect way to include an impromptu guest party before your beach wedding. Our packages offer you a wide variety for beach weddings in Ft. Lauderdale: Remember, all of our packages include he ceremony officiant who can legally marry you, and a ceremony photographer to capture those special ceremony moments. Our Simply Package: For those couples that want a simple, elegant elopement for two. Or with a few, select guests. Our Nautical Knot Package: Great for smaller weddings. This Package includes many flowing material color choices for the natural bamboo “arch”, wedding ceremony chairs, and ceremony music. Our Destiny Package includes the full bamboo canopy with several choices of toppers,flowing material colors, coordinating aisle way choices, ceremony chairs, and music. Our Distinctive Packages, our most popular packages for our beach weddings in Ft. Lauderdale. These are custom designed packages, which include custom décor, white deluxe chairs, music, and more. And, your guests will certainly thank you for having the lemonade and water station for their enjoyment as they wait for the start of your ceremony. 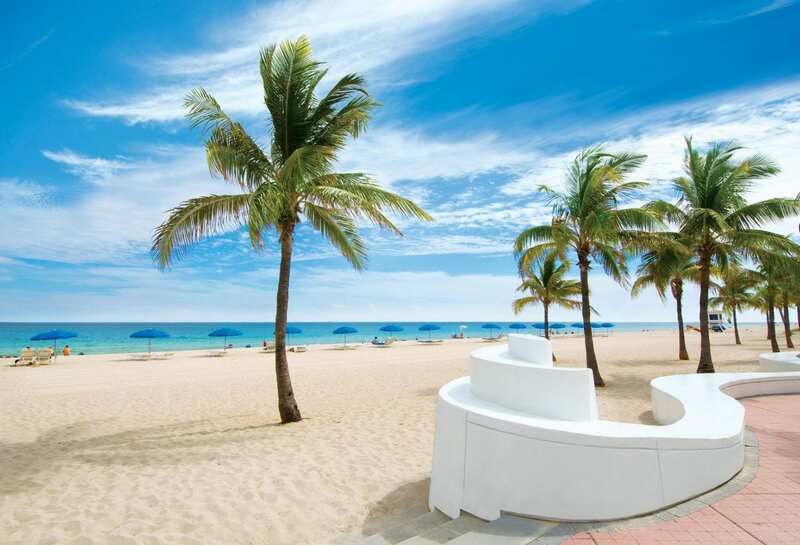 Most of our couples who choose their beach weddings in Ft. Lauderdale are from out of town. No problem – we make sure you have exact location information, as well as detailed ceremony agenda that you can share with your guests. Another option for our out of town guests: Obtaining your Florida marriage license by mail. When you reserve your beach wedding with us, there is detailed Florida Marriage License Information in your welcome packet. Sorry Florida residents, you will have to obtain your Florida marriage license the old-fashioned way, in person. Our ceremony officiant will take your Florida marriage license after the ceremony, and file it for you. Beach Weddings in Ft. Lauderdale are fun-filled exciting destination adventures with your beautiful beach wedding right in the center of the activity! Contact us today to start planning!